A YEAR OF DISSENT: ALL FOR ONE - ONE FOR ALL ! ﻿On the 11 November 2011 at 11:11 AM, it will be launched a world wide and continuous anonymous action that involves all kinds of dissent actions including strikes, media campaigns, hacking attacks, occupations and all the other creative and peaceful means of self-expression. We are coming to take over the world agenda and we will show our will to shape it our selves after that point of time! We will use all the means we have, to show capital and state elite that we are angry, we want an end to their rule, their kingdom, and we have certain immediate demands as united humanity. We know that understanding the world is not enough, we need to change it and we need to do it right now! We need to be one, and we need to be there for all, in order to achieve this! Blaming bankers and politicians is not enough. To solve the crisis and make the Spanish and Greek revolutions succeed, radical change will be needed at the European level. Last night saw the largest demonstration of ‘indignant’ Greeks so far, with some reporting as many as 500.000 protesters on a completely packed Syntagma square. Many calls are raising for global p2p revolutions! We are the outraged, the anonymous, the voiceless. We were there, silent but alert, watching. Not gazing upward at the powers that be, but looking from side to side for the right time to unite with each other. The first sparks started to fly in the Arabic countries, where thousands of people took over streets and squares, reminding their governments where the real power lies. The Icelanders followed, taking to the streets to speak their mind and decide their future. And it wasnt long before Spaniards occupied squares in neighborhoods, towns and cities. Now the flame is swiftly spreading through France, Greece, Portugal, Italy and Turkey, and the cries of peaceful demonstrators echo across America and Asia, where new movements are cropping up everywhere. Only a global revolution can confront global problems. The time has come for the woman and man in the street to take back their public spaces to debate and build a new future together. This is a call to the #Globalrevolution on 19 June. We’re calling on people everywhere to peacefully occupy public squares and create spaces for debate, assembly and reflection. It’s our duty to reclaim the public arena and together forge the kind of world we want to live in. People of the World, rise up!!! The strike action on June 30th by over 750,000 public sector workers is the biggest threat yet to this government’s plan to make public sector workers pay for the economic crisis. Real Democracy Now! certainly is a very clear and strong demand what we all share today! What we need to do now is to accompany it with other strong calls, for example for a globally accepted 4 Hour Work Day as a more realistic response to the crisis of capital, and immediate full stop for social cuts, and attacks towards the commons. This would allow us to push the anonymous and globally spreading ‘take the square’ and ‘real democracy, now!’ movements, which are build on the meme of Tahrir en Puerto del sol squares, further! In order to harmonize our core and commons demands against the global capitalist system, its global crisis and for a real democracy across the world, as GAIA peerage, we are intended to reply the call for a year long p2p dissent. - Pushing established trade unions to mobilize as well as encouraging other alter forces, movements, activists and hactivists to link their actions, strikes, hacks around the several key demands, to which every actor would subscribe without thinking. These would be: Immediate implementation of 4 hour work day, free and open internet, decommodification of the commons and public/social services, a radical decrease of carbon emission globally, direct access to policy making for everybody. These are some of these core demands we can hold on altogether yet obviously there are many others like protection of the commons. We need to create widest alliances on established common issues and invite people’s assembles together to write universal people’s laws, on these fields, i.e. by using wiki processes, collaborative pads. At that point we will need to use platforms like Avaaz to collect signatures, and the Yes Man style media actions to provide a global reach out! Last stage would be launching a year long harmonised dissent in order to push the people’s p2p laws forward, transnationally and peacefully. The date foreseen for such dissent to begin is 11 November 2011, on 11:11 am UCT. This date refers to the famous 11th thesis of Marx on the changing the World, as well as unification of forces while they keep their autonomy, being one for the earth and opressed people. We must link Zapatista revolt and dissent of Latin America, Battle of Seattle, World Social Forum and Anti-War Movement processes to the process that has started with student and migrant dissent in Europe then accelerated with Tahrir, Puerto del Sol, and others City Square occupations and emergence of the network of people’s assemblies. 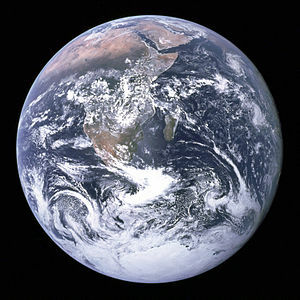 If we link people’s assemblies to each other strongly and create a Global Alliance for Immediate Alteration [http://openfsm.net/projects/gaia/summary we can imporve such global strategies and make another world reality! Please read the below anonymous/open strike notice! If you agree and would like to endorse please localise/translate the text, pass it to your local and national press, and spread the text virally via your individual and collective online and offline networks! Do not forget the process begins tomorrow 11:11 am GMT globally. We declare that we have no division among us, the people united. We are united as humanity and nature, one whole planet. We are ONE and we are here for ALL, including the 1%! We declare that we need to take over the world agenda, to shape our future together, in a bottom-up, horizontal and egalitarian way! Let’s make real democracy a reality and put an end to the ‘ancient regime’ of the elite. We call Occupy Together/Democracy Real Ya!/Take The Square/15O/15M Movements, Anonymous, LulzSec, WikiLeaks, OpenLeaks, Yes Man, Avaaz, The Zeitgeist Movement, Zapatistas, Water Warriors, Slum Dwellers, Street Traders, NetWorkers, Free Culture and information activists, environmentalists, unionists, feminists, anti-war activists, political parties, and all other like-minded groups and individuals from every country, to support this cause by engaging in law making processes within their nearest occupy assemblies around the world and linking your actions in the WikiStrike framework! The current political alteration process can, eventually, replace current production, ownership and distribution relationships across the globe with fundamentally egalitarian ways of distributed, peer to peer economies through which we could protect the planet, realise justice and maintain peace. In such P2P economies we could reclaim the Commons from the grip of greed. We could contribute to work needed to be done for collective good, not more than 4 hours a day. This way we could physically reproduce ourselves and maintain life for others. We could use the rest of the time to flourish and for self realisation. Today we have the material conditions to realise such transition. In order to move further, we need time. We need to get back the trillions of dollars the 1% has stolen from the people and realise 4 hour work days and basic income for all. It is possible and it is a more realistic response to the crisis the elite caused, we need this to be able to build and lead the transition towards P2P alternatives. 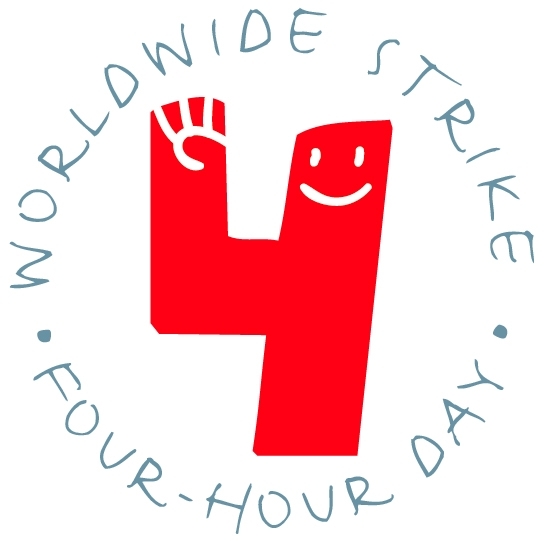 Today, we launch a world wide and continuous WikiStrike involving traditional industrial action as well as new generation media actions, leaks, hackatons, occupations, meditations, art strikes and many other creative and peaceful forms of self-expression to make this happen. Understanding the world is not enough, we need to change it and we must to do it now! 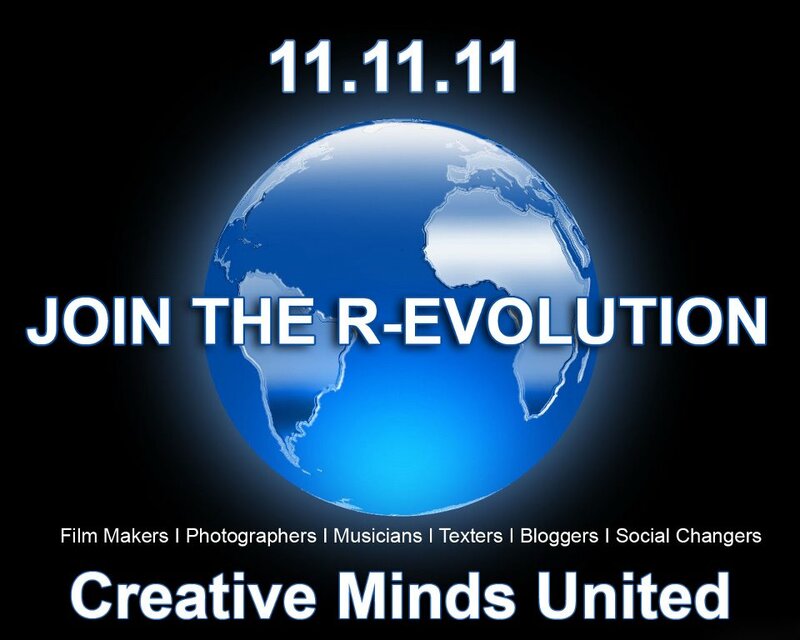 Join the world wide strike and global demo on 11.11.11! 4 Hour-Work-Day and Global Basic Income now and for all! ALL 4 ONE ONE 4 ALL! Our current civilization is based on the dominancy of capitalist mode of production relations and other social relations in large portion belong to this mode, including foreign relations. The rising people’s grassroots movement openly and clearly wants to change these relationships in a global scale. This conscious ‘demand’ of the peoples is being unsuccessfully undermined by the mainstream media. The existence of astonishing number of alternative visions for the aftermath of the approaching collapse is the proof of this: the gift economy, solidarity economy, participatory economy, resource based economy, commons based economy, and many more. The material basis that gives way to such visions to be born is the actual changes have taken place in productive forces since the 70s. The rapid change in communication and transportation technologies and, more importantly, the impact of these changes on social relations, culture, language, etc. have transformed the society itself: the primary productive force we have. Since the invention of the internet and fast mass transportation we have observed the rise of peer to peer networks, in which individual nodes can link up each other freely, without necessity of hubs/gate keepers. And it is, in principle, possible within these networks to appropriate the necessary knowledge of the total system nodes are involved. Since then ‘networks’ OCCUPY THE SPACE both in reality and in our daily languages. But distributed p2p networks have brought about a massive potential for a global change in group dynamics and so power relationships. This process of networkisation of society has been linked tightly to the process of transnationalisation of the production, culture and social relations among people. However, the change in the substructure in last three decade, did not coincide with the necessary changes in the superstructure them selves. It had to be done from above with the adaptation called ‘capitalist restructuring’. The period we know as Neoliberal Era: the creation of free world market, financialisation, flexibilisation, and global governance from above and massive exploitation and natural destruction. The mismatch between the changing configuration of productive forces AND existing dominant production relations [and related modes of social relations and political/cultural super structure belongs to them] had to explode, and this happened within 2007-2008. In the same period, we have seen the rise of hyper connectivity among people. The web 2.0, although owned by capital, contributed largely to the rising global mass movement against the collective offensive of state elite and capital forces towards the poor and ordinary working people. Today, with the rise of 3D printing, distributed solar, wind, thermo energy productions, and other distributable production/manufacturing technologies, it is first time in the human history we have the material conditions to achieve an equal, just and peaceful human civilization across the planet. In order to achieve this we needed to firm massive distributed p2p assembles of the people’s. It is luckily happening right now, globally. OCCUPATION OF THE WORLD, will be about a REAL and TOTAL change in production, consumption, distribution, ownership relations and thus governance mechanisms we had at hand, which had empowered only %1 against the %99. 2011 and 2012 will be remembered the years in which the ancient regime has fallen and the mature and advnaced human civilization has born.